Partridge began his career as a trainee with Grimsby Town before moving on to Bradford City. Unable to break into the first team, he joined Bristol City on a free transfer and made nearly 60 appearances over the next three years. He also had loan spells with Torquay United, Argyle and Scarborough whilst there. A two-year stay at Cardiff City followed and then a return, this time on a permanent basis, to Torquay. He scored thirteen goals by January in the 1998-99 season and this led to a move to Brentford, where he continued his good form before moving on to Rushden and Diamonds in 2001. 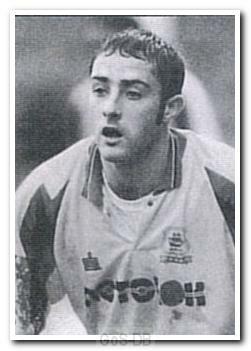 Partridge was released in 2003 after a short loan spell at Exeter City and briefly played for Shrewsbury Town and Weymouth before a hugely successful five year stay with Bath City. He went on to play for Sheffield FC and Weston-super-Mare.